Call us to arrange a no obligation initial consultation on 0151 356 1496. We offer a variety of different cloud based packages for different-sized businesses. Sage 50cloud is aimed at small to medium-sized business and includes functionality for VAT, stock, budgets and invoicing. Run your business more efficiently with a time-saving in-depth solution to manage your accounting, invoicing, cash-flow, inventory, taxes and so much more. 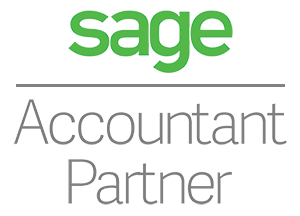 Sage 50cloud Accounts seamlessly combines the power and productivity of a trusted desktop solution, with secure online access and Microsoft Office 365 integration. Sage Business Cloud is a suite of online solutions for all businesses, from Start-ups to Scale-ups and Enterprise businesses. Free yourself from admin with clever, easy-to-use accounting features, built around how you work. Take care of invoicing on the road, banking at the office, and manage cash flow from home. Sage Business Cloud Accounting apps work with PC’s, Macs, iOS, and Android. We work closely with our clients and help them develop a system of financial reporting that meets their requirements and helps guide their management decision making on a daily basis. We’re pleased to offer comprehensive training to support your use of Sage Software, individually tailored to suit your needs, which can take place on or off site and help you with everything from set up and best practice, to in-depth advice, consultancy and technical tips.